Masonry steps are a beautiful fixture in a home, but when they become damaged, they can pose a serious danger to anyone who tries to use them. It is much easier to resolve masonry step problems as soon as they arise instead of waiting until the entire structure needs repairs. 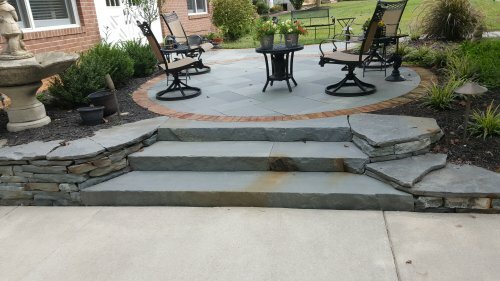 Let Masonry Repair services fix any and all damage to your steps before any more problems can occur! We pride ourselves in making your masonry steps safe and usable again for your family and friends. Masonry Repair Services has worked in the Baltimore area for years and we know the quality and care individuals look for when it comes to masonry repairs. We have served hundreds of satisfied clients and are confident that after experiencing our services, you will be yet another pleased client. Contact us today at 410-891-2936 for more information or to receive a free estimate!